Ecobee's support site has an extensive list of commands to get you started. You ask it to set timers, add eggs to your shopping list, and even play some jazz music to compliment the cool breeze of your air conditioner. Ecobee4 users will also have access to the entire library of Alexa's 3rd party skills, including trivia games and news. 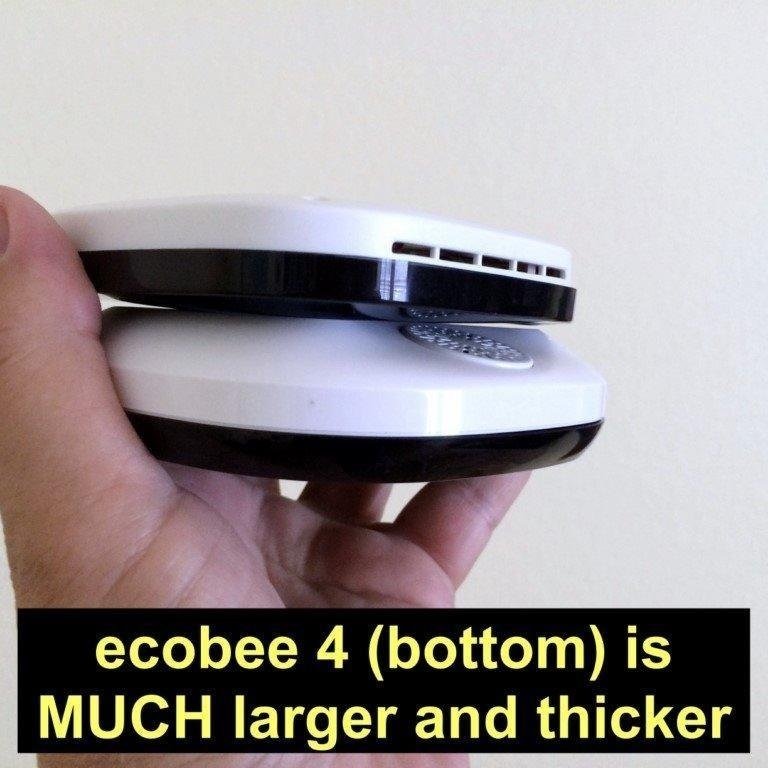 All this computing power requires the ecobee4 to be considerably larger than its predecessor. It sticks out from your wall more as this Amazon reviewer's pictures clearly demonstrate. This may be a deal breaker if you prefer less conspicuous smart home devices. 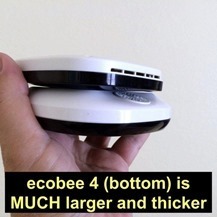 If you're not concerned about the size, the location you choose for your ecobee4 will have an impact on its usefulness. The ideal place for a thermostat is in a frequently used room. Most would advise a similar location for your smart home assistant. In the ecobee4, you have one device that serves both of these functions. That's great, right? However, there is a significant drawback. The ecobee4 doesn't have the powerful speakers found in a full sized Echo, and you can't plug your own into it like you can the Echo Dot. I would say this limits the most popular feature of home assistants: playing music. For those of you (like me) whose thermostat is in the hallway, the benefit of Alexa integration is further reduced. How many conversations do you want to have with your assistant in the hallway? Ecobee touts its ability to hear you from another room, but I'm not sure I want to be yelling down the hallway for anything other than changing the temperature. 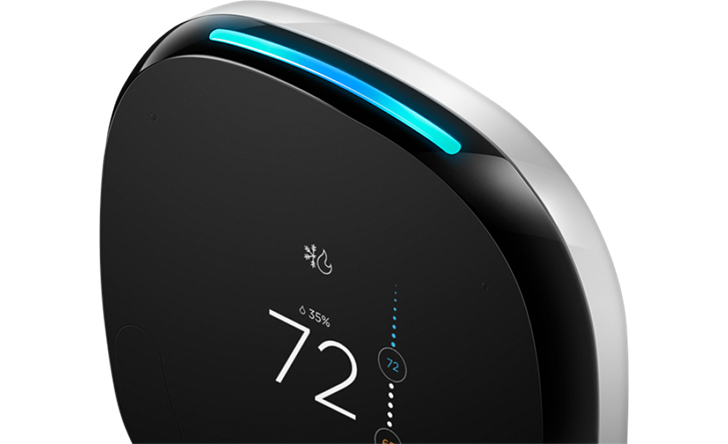 The ideal arrangement is installing the ecobee4 alongside an existing Echo ecosystem in your home. It provides another gateway into its powerful smart home network; it's another set of ears. And as someone who has placed Google Homes throughout my living space, I know the benefit of being able to speak commands from almost anywhere in your home. It's particularly handy when it comes to controlling lights, music, and of course, your thermostat. Amazon's recent announcement of improvements in wake word detection goes hand in hand with the expansion of Echo devices in the home. 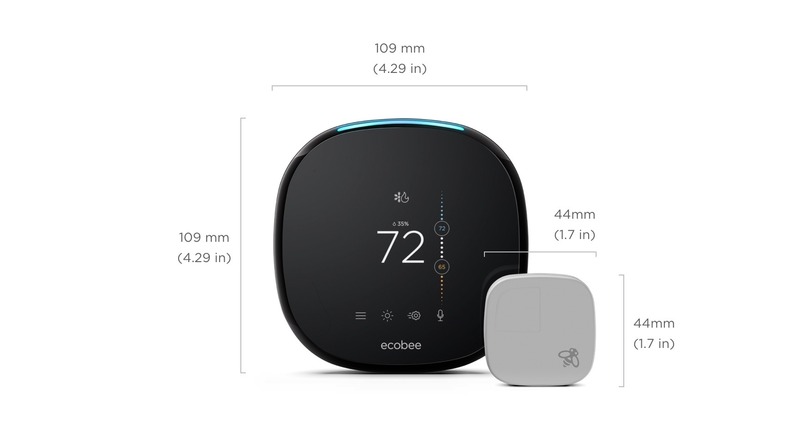 Are you interested in adding the ecobee4 to your home? If so, you can order it directly from Ecobee, Amazon, or pick it up at major retailers for $249. Stock levels vary so check your local Best Buy, Home Depot, and Lowes. Amazon carries it, but at the time of this writing, it is temporarily out of stock.